I can't count how many of my Facebook friends post positive pregnancy test results on the first of April as a "prank" to make people believe they are pregnant when they are actually not. Note: This happens every year. 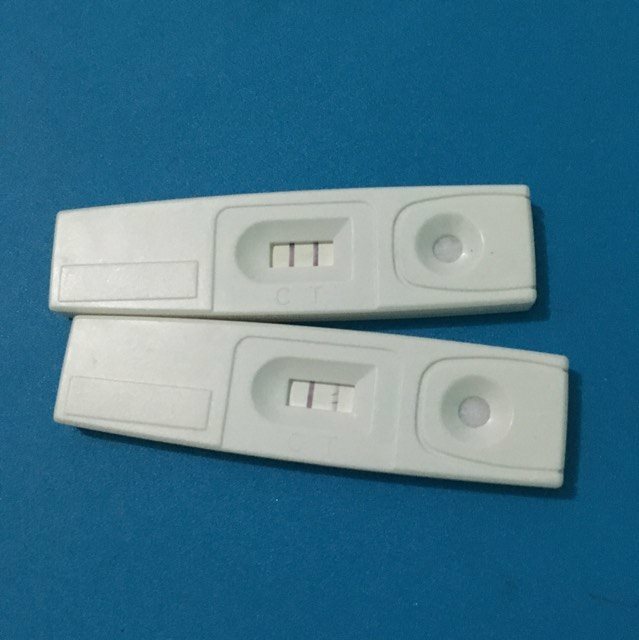 Both showed negative at first, then showed positive results five minutes after. I may sound like some kill-joy who always sees something wrong on what was supposed to be funny, but the question here is..
Why is pregnancy used to fool people? Is it supposed to be funny when someone's pregnant? I just want to share a different point of view. Some people are trying so hard to conceive. They have themselves checked for anything wrong. They prayed so hard just so they will be blessed with a child. Some find it hard to bear... Others just can't. There are some who suffer complications during pregnancy. They had to take extra meds and do checkups more than the usual. I, myself, having Essential Thrombocytosis had to visit two different doctors in a month. There are even some who are forced to quit work. Expectant moms are willing to sacrifice their wants to make sure the baby gets what it needs. There are a few who experienced what I think is the worst thing that could happen to anyone: losing a child. Some didn't even have the chance to see them. Others had to send their babies back to Daddy God the moment they came out. They can never get over it. Pregnancy may have become a sensitive topic for me now that I am a mom, and most especially because I have known people who had suffered infertility, and miscarriage. For some, they may see it as a joke. But for others, pregnancy is an answered prayer. Pregnancy is nothing to laugh about. Pregnancy is not a joke. It is about having a family, about people giving their all. Pregnancy is about life and giving life. PS: And please people, don't even get me started with your new "I have cancer" posts! DON'T EVER MAKE FUN OF CANCER.